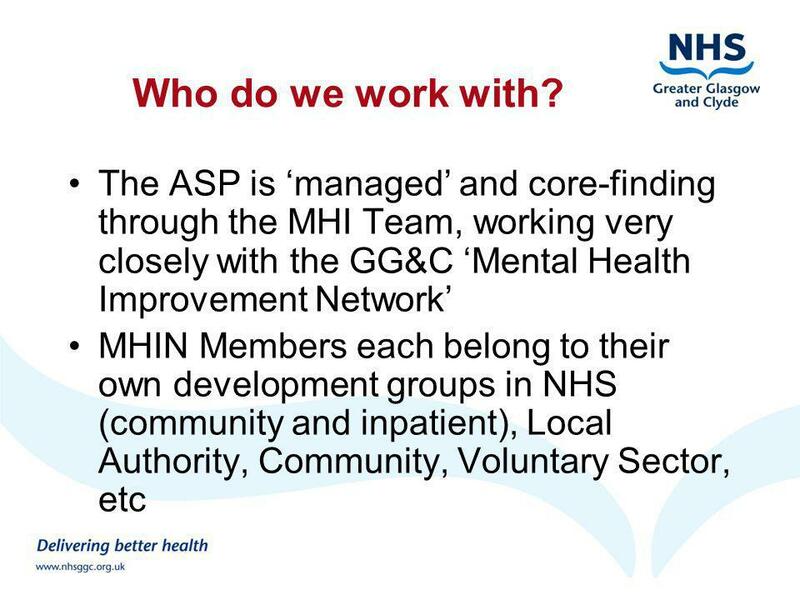 Mental Health Improvement in Scotland and NHS GG&C Anti Stigma Partnership Established to provide new approaches to addressing mental health stigma, discrimination. 6 How does it work? 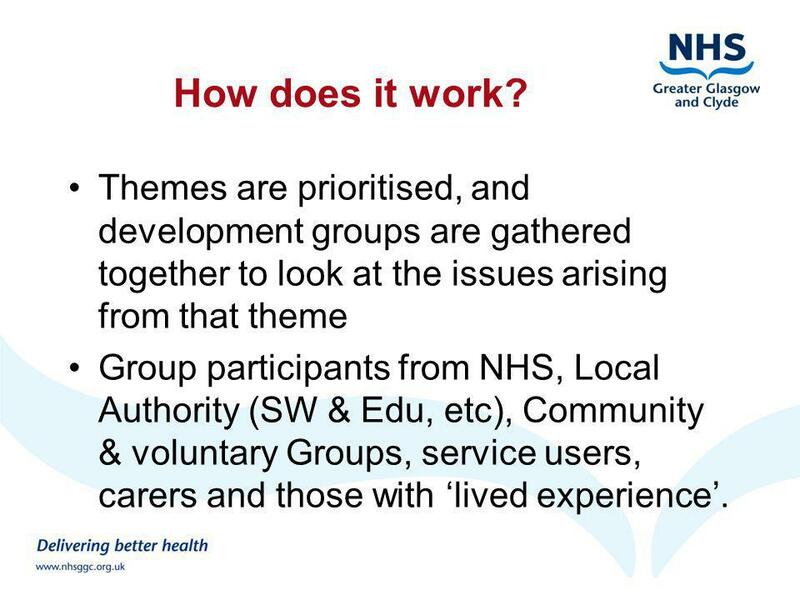 Themes are prioritised, and development groups are gathered together to look at the issues arising from that theme Group participants from NHS, Local Authority (SW & Edu, etc), Community & voluntary Groups, service users, carers and those with lived experience. 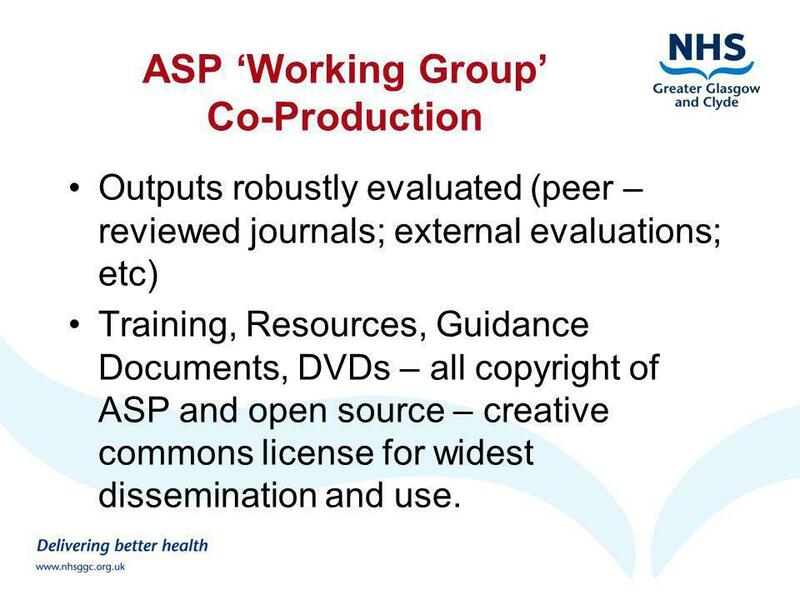 8 ASP Working Group Co-Production Outputs robustly evaluated (peer – reviewed journals; external evaluations; etc) Training, Resources, Guidance Documents, DVDs – all copyright of ASP and open source – creative commons license for widest dissemination and use. 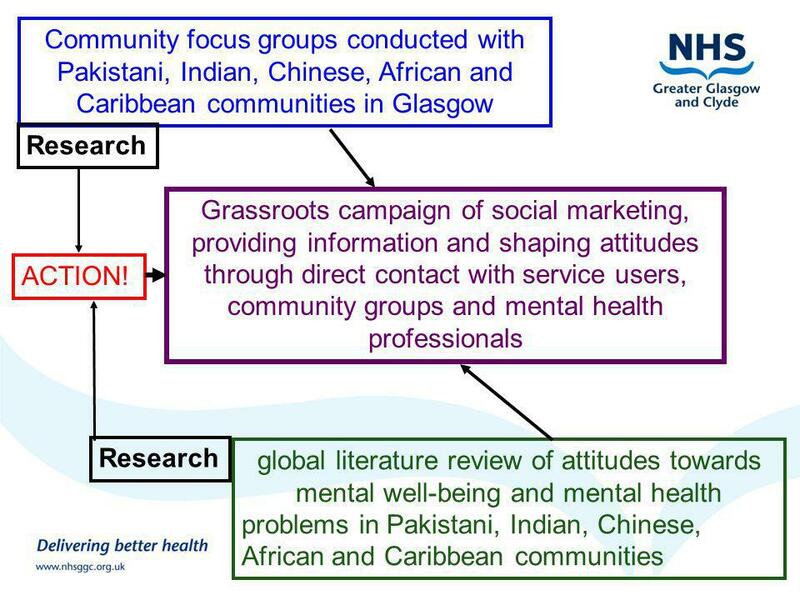 10 Community focus groups conducted with Pakistani, Indian, Chinese, African and Caribbean communities in Glasgow global literature review of attitudes towards mental well-being and mental health problems in Pakistani, Indian, Chinese, African and Caribbean communities Grassroots campaign of social marketing, providing information and shaping attitudes through direct contact with service users, community groups and mental health professionals Research ACTION! 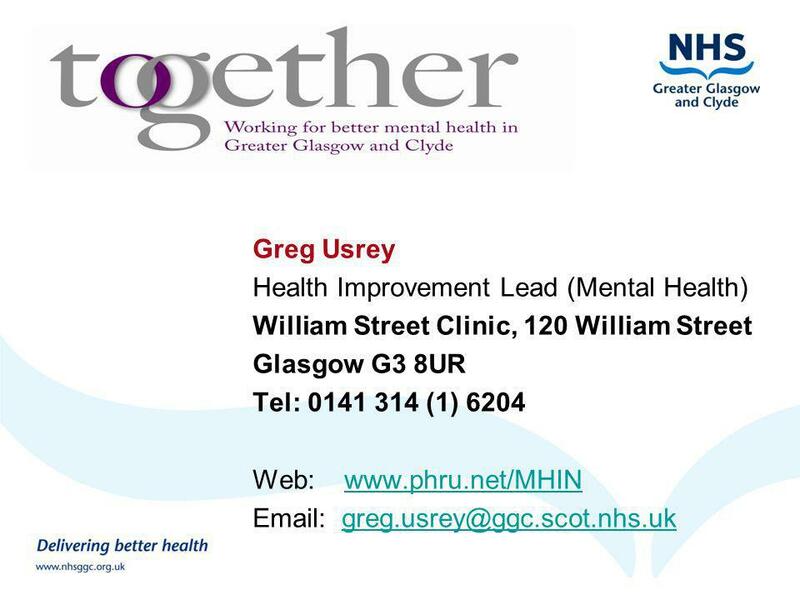 Download ppt "Mental Health Improvement in Scotland and NHS GG&C Anti Stigma Partnership Established to provide new approaches to addressing mental health stigma, discrimination." C4EO Support for Regional Developments Gill Taylor Regional Associate 1. The Role of Welsh Health Libraries in Supporting Information Provision to NHS Users Anne Cleves AWHILES Conference 14 th July 2009. DAVID WOLFF, DIRECTOR. Cupp Aims to become recognised as a leading UK university for the quality and range of its work in economic and social engagement. Northamptonshire Carers Strategy Demonstrator Site Sharon Benford, Project Manager Better NHS Support for Carers. 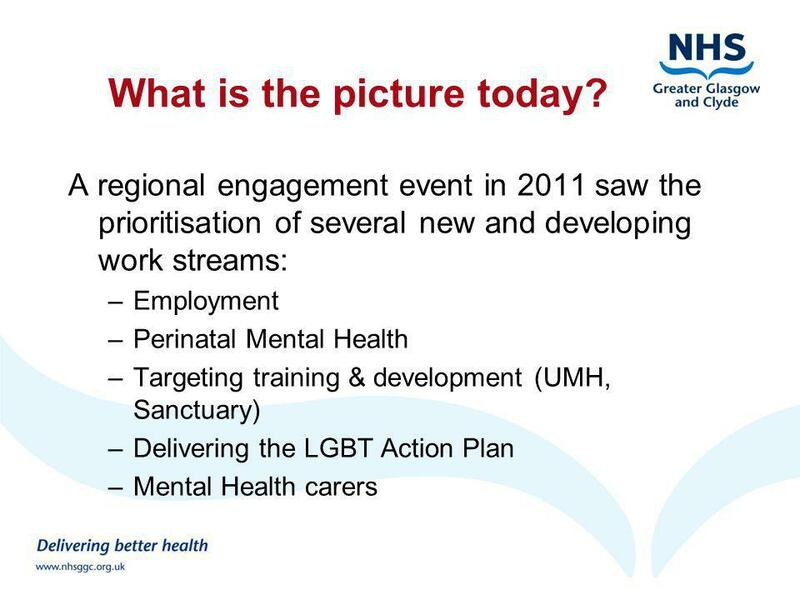 Collaborative Themes Working Group Greg Burgess, SAMH, Choose Life Co-ordinator North Lanarkshire Colin Anderson, NHS Lanarkshire BBV AND Sexual Health. 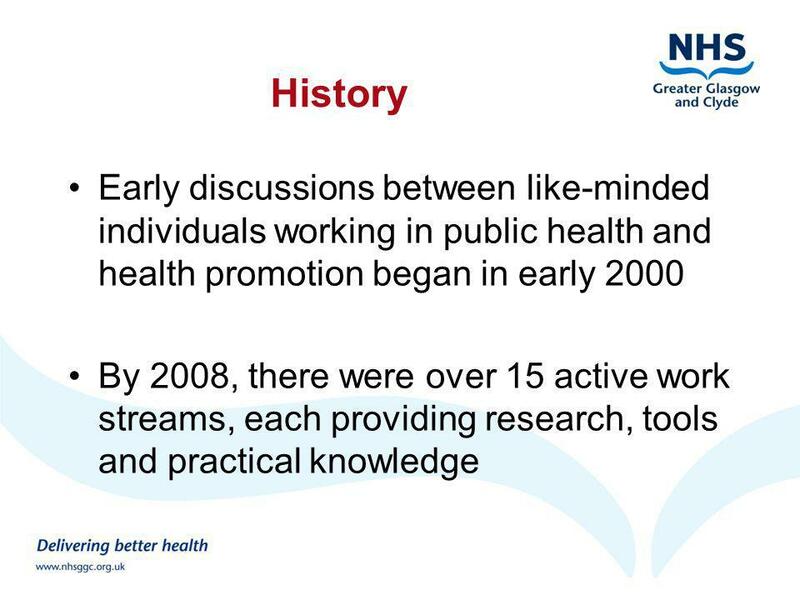 Community engagement Implementing NICE guidance 2008 NICE public health guidance 9. Learning and Teaching Scotland International Education Professor Kay Livingston Head of International Education 28 September 2007. Its OK to Talk About It Clair Chilvers, Julie Repper and Justine Schneider Nottinghamshire Healthcare NHS Trust. 13 March 2008Scottish Higher Education Employability Network Scottish Higher Education Employability Network Meeting Janice Ralston Scottish Council for. Escalate Associate Dean (Employer Engagement) Induction 14 th July 2010. 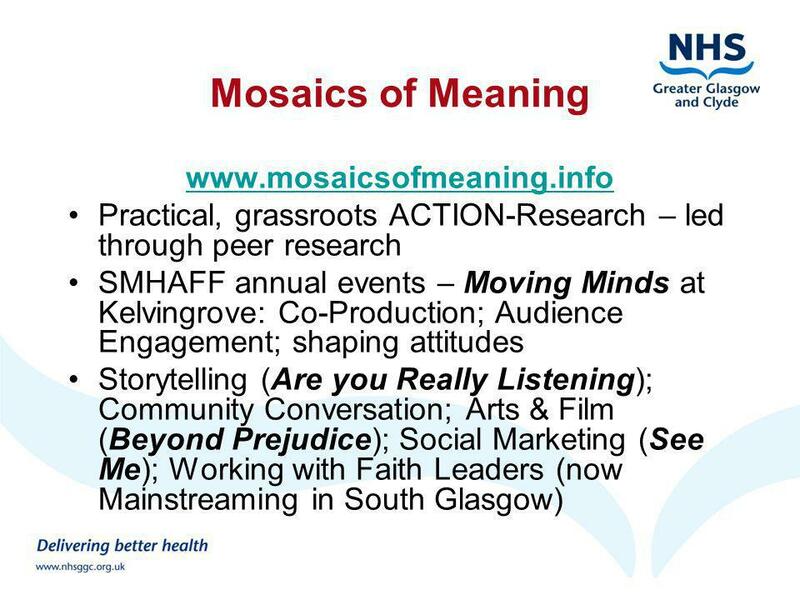 Developing a OT service for disabled homeless people Ann Forsyth Lead Occupational Therapist Glasgow Homelessness Services. 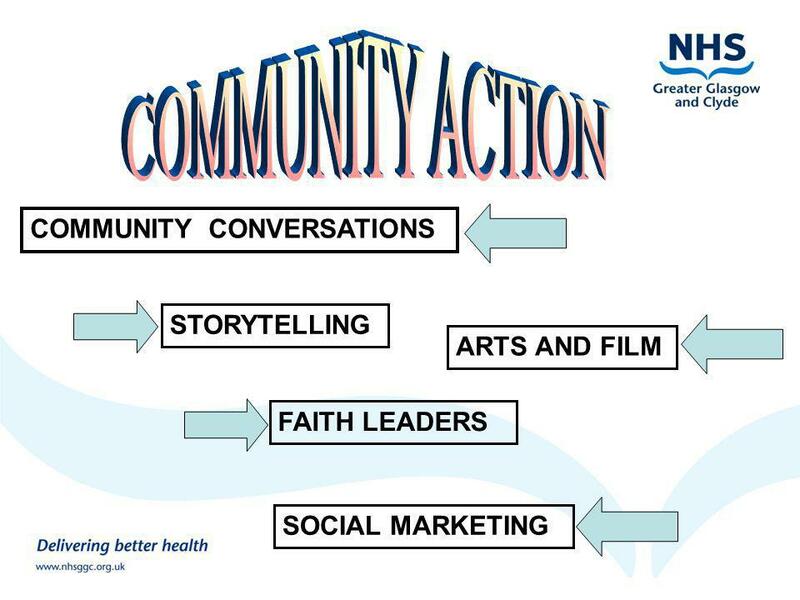 Collaboration for Leadership in Applied Health Research and Care for South Yorkshire (CLAHRC SY). 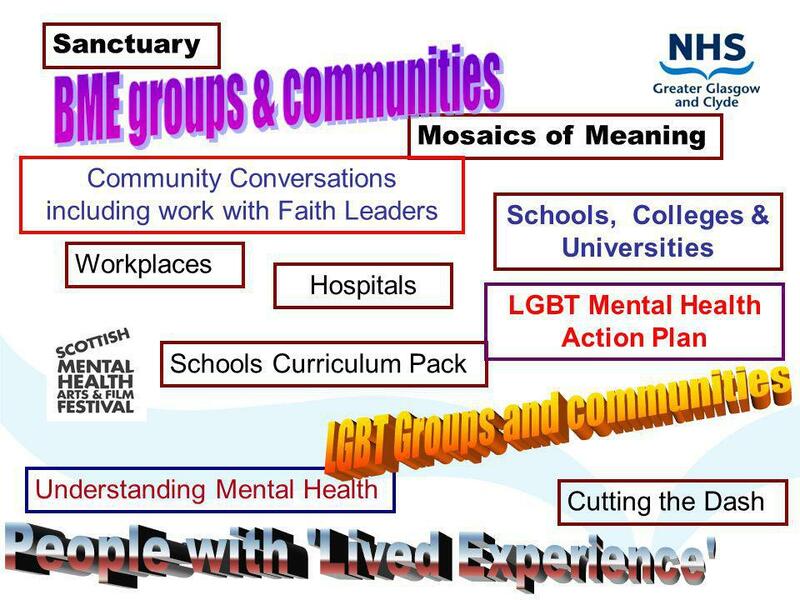 ‘THE BENEFITS & CHALLENGES OF. 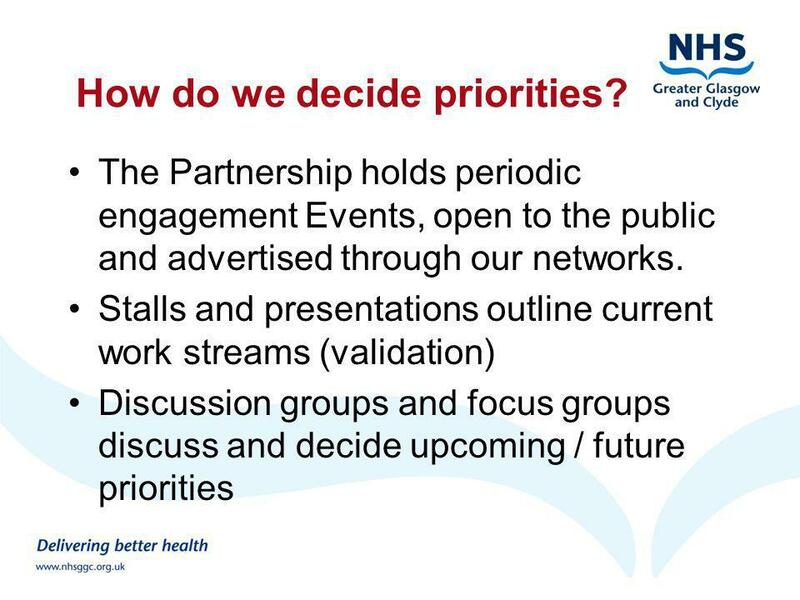 Hepatitis C Education, Training & Awareness-raising Network Phase II Actions NHS Greater Glasgow and Clyde Hepatitis C Managed Care Network Event 11 June. 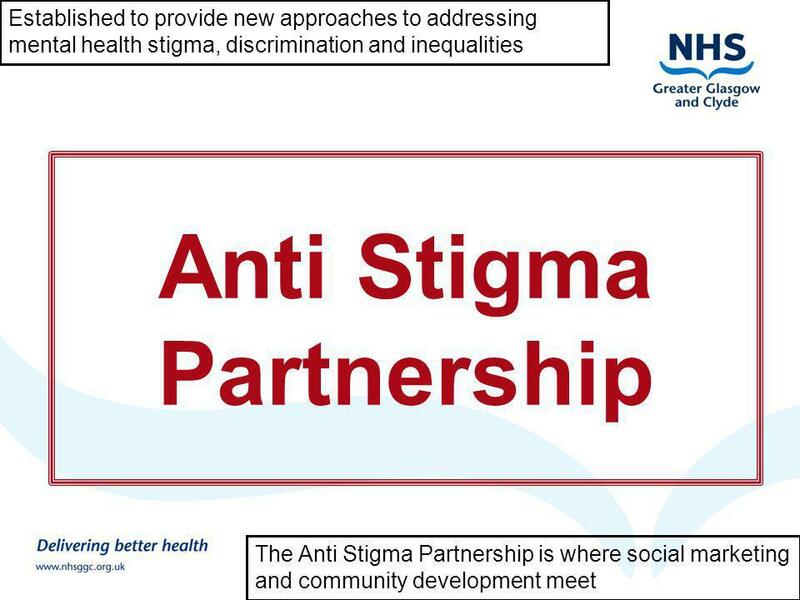 UPDATE FROM THE DUAL DIAGNOSIS NETWORK RICHARD BELL DUAL DIAGNOSIS PROJECT MANAGER. 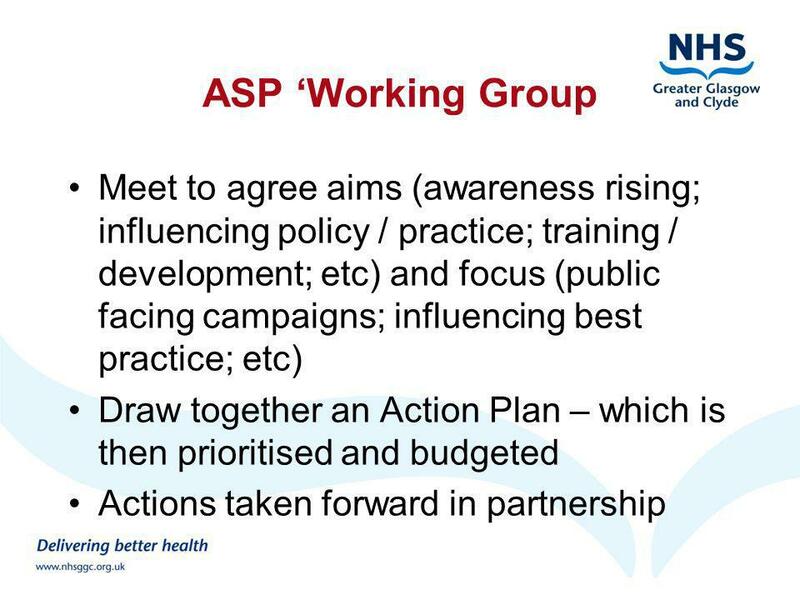 Transforming the quality of dementia care – consultation on a National Dementia Strategy Presenter name CSIP region logo here. Early Support for families with children with additional needs Jo Sharman Early Support Development Officer. De-Constructing and Re- Constructing Social Dialogue in the Public Services: A UK Perspective Ian Kessler VP/2013/0362 With financial support from the. What is to be Done? Universities and the voluntary and community sector working together to support working class communities: The role of research Roger.